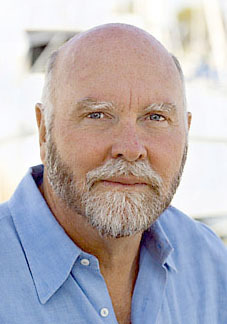 American biologist and entrepreneur Craig Venter developed a new technique to identify unknown genes in other organisms, cells, or tissues, using small segments of deoxyribonucleic acid (DNA) called expressed sequence tags (ESTs). He then attempted to patent the gene fragments identified through this technique, a move considered controversial in scientific circles. In 1995 Venter's team determined the genomic sequence of Haemophilus influenzae, a bacterium that can cause meningitis. In 2000 Venter's team announced that it had determined a "rough draft" sequence of the human genome, work which was completed three years later. In 2007 he announced the first successful mapping of the complete (six-billion-letter) genome of an individual human — his own diploid (two complete sets of chromosomes, one from each parent) genome. In 2010, Venter's team announced that he and his team had sewn together strands of DNA to create the first man-made bacterial cell, Mycoplasma mycoides JCVI-syn1.0. After insertion of his synthetically-designed genome, the cell created proteins according to the blueprint in the synthetic genome, and continued acting as a normal bacterial cell. Venter has also contributed to the sequencing of the genomes of the fruit fly, mouse, and rat, and he is the founder or co-founder of The Institute for Genomic Research (1992), Celera Genomics (1998), Synthetic Genomics (2005), and the J. Craig Venter Research Institute (2006). Critics and colleagues have described Venter as an egomaniac; his response is: "I wouldn't have mapped the human genome if I was lacking in confidence." Interview, 60 Minutes, 21 November 2010.